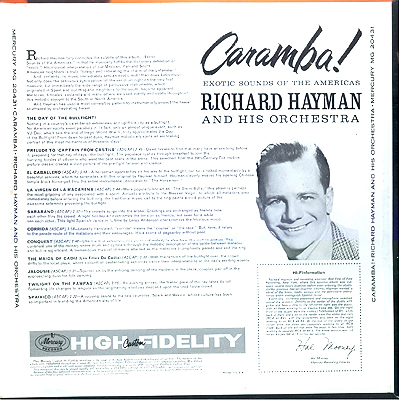 Album Cover Art - Richard Hayman - Carumba! Notes: Another album by Richard Hayman, another theme. 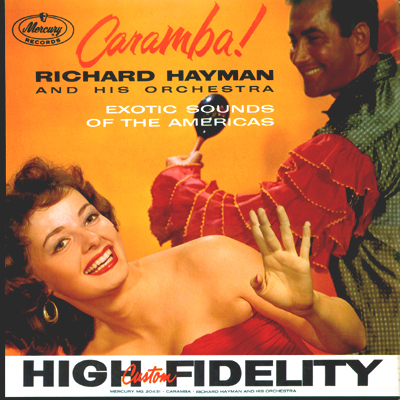 Today we're off to visit the sunny climes of the "Exotic Sounds of the Americas". The music is much as one would expect with few surprises. But, the cover at and the song explanations on the back cover make it a worthwhile flea market find with its clean glossy cover. And it's a white label "For Broadcast Only" promo pressing. Prelude To "Captain From Castile"